FINDING THE RIGHT car for your lifestyle and budget can be a tricky process. We want to help streamline the search. As part of our Dealer Insights series, every week we’ll take a different car-buying question to the experts at the heart of the motor industry. With the number of electric vehicles on Irish roads increasing – and the variety of models available increasing too – you might be considering making the switch yourself. But what do you need to know first? 1. How does an electric vehicle work? As the name suggests, an electric vehicle, or EV, is fully electric. There’s no petrol combustion engine in the vehicle itself at all. What you’re driving is essentially a larger version of a remote control car, working off a battery which spins the wheels. To keep the battery operating, you need to charge it regularly. 2. Where can I charge an EV? You have a few options here. There are free electric charging points in many cities and large towns, almost 1,100 in total, so these are great for top-ups or for a full charge if you have time. There are also 70 free superchargers, mainly in garages, which can fully charge your car’s battery in about half an hour. Some EV owners also have charging points in their homes. Initially there was an SEAI grant available for the full cost of the home charger and installation. That scheme has ended, but you can still get a grant of up to €600 towards the cost. 3. So am I going to spend the rest of my life hunting down charging points? Driving an EV definitely takes a little more forward planning, but there are more charging points available than people think, especially in garages and service stations on major roads. There’s also a map on the ESB site here. EV owners can register with ESB for a charge point access card, giving access to the country’s entire public charging network. 4. I do a lot of long drives. Is an EV a realistic option? Range anxiety is one of the most common worries of drivers considering an electric vehicle. Is this car going to stop moving half way through my journey? But in a modern EV like the Volkswagen e-Golf, you can get from Dublin to Limerick on a full charge. Ireland is small, so city-to-city driving is still realistic with an EV. For longer journeys, you’ll still need to stop for a charge, but if you’re stopping at a service station with a supercharger, you can fully charge or top-up the battery in the time it takes to get a coffee, a sandwich and stretch your legs. 5. What does it feel like to drive versus a standard petrol engine? The first thing you’ll notice is the silence. There’s no noise from the engine, it’s as if you’re gliding along. That can take some getting used to! Compared to a petrol engine, with an EV there’s a more even spread of power, because when you touch the pedals there’s a direct stream of power to the wheels. Also, the internal elements take up less space, so the car tends feels lighter on the road. 6. Will I save any money? 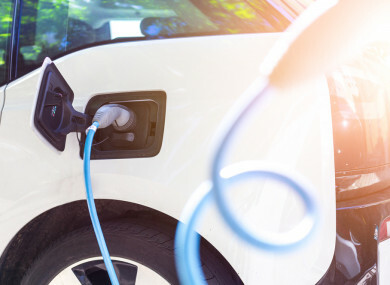 As well as the obvious saving on petrol or diesel costs, now is a good time to make the switch to electric because of the high number of government incentives available. First up, these mean that dealers can sell you the car at a lower price, and secondly your road tax and insurance will be lower than with a standard car. With an EV, the road tax is €120 for 12 months, compared to about four times that with a petrol engine. Email “Considering going electric? 6 common EV questions tackled by a motor expert”. Feedback on “Considering going electric? 6 common EV questions tackled by a motor expert”.